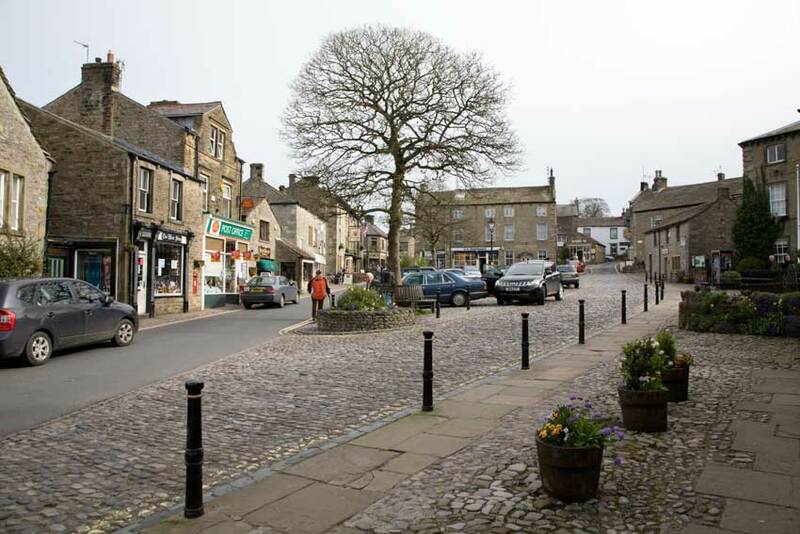 Todays walk starts from the busy market town of Grassington in Wharfedale. 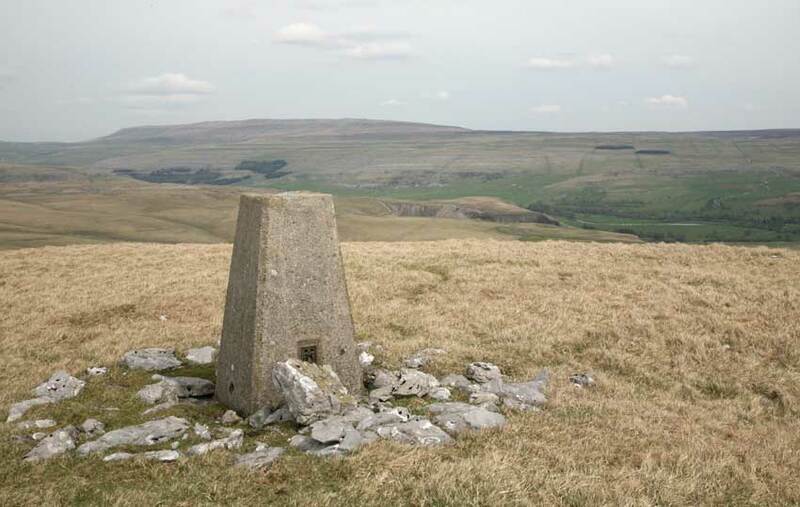 The route takes us north west to the small village of Conistone before crossing the River Wharfe and heading south west up onto Kilnsey Moor - our objective of the day. 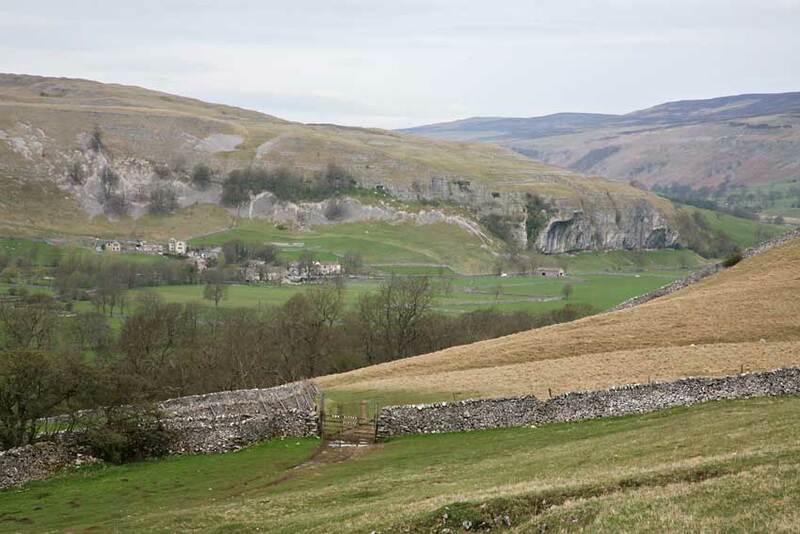 We then head back to Grassington via Skirethorns and Threshfield. Leaving Grassington we follow the Dales Way north for about 1.5km through farm pastures until we eventually pass through a stile leading onto open access land. The path now splits and we leave the Dales Way on a very pleasant track heading northwest above Bastow Wood towards the village of Conistone some 3km away. We cross the head of a wooded ravine, first descending into it slightly then re-ascending again as the path undulates along its course before opening out onto open fell again where this picture was taken. 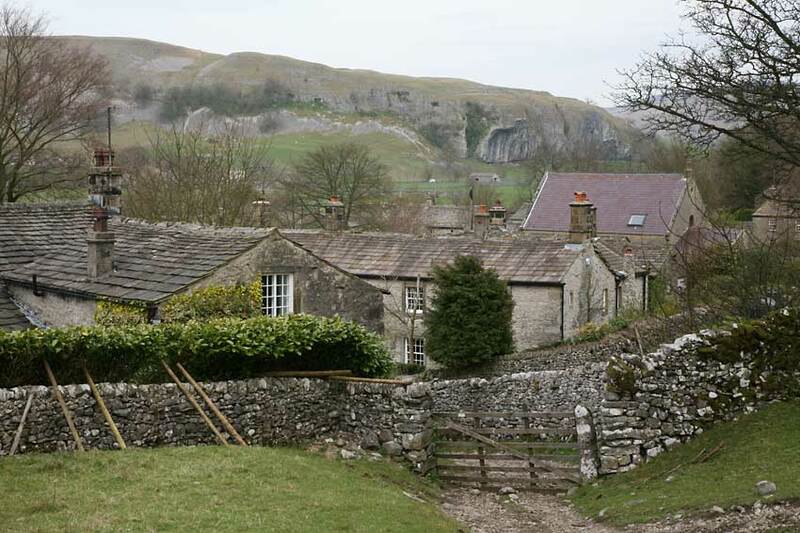 Looking across the valley to the village of Kilnsey with Kilnsey Crag on the right. 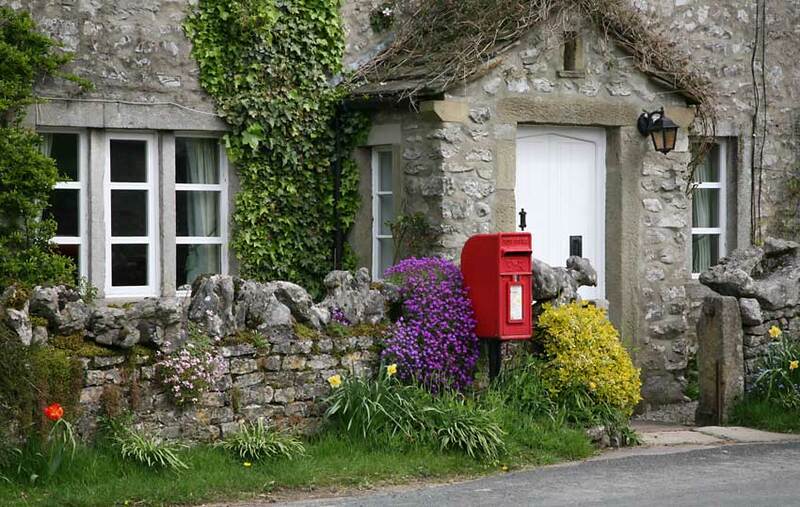 We pass through a gate into the small picturesque village of Conistone. We leave Coniston and follow the road across the River Wharfe, then turning left and almost immediate right we gain a track heading west towards Cool Scar. Passing this old ruin we head across the field to pass through a stile in the wall and gain a good track heading running south west below the Scar. 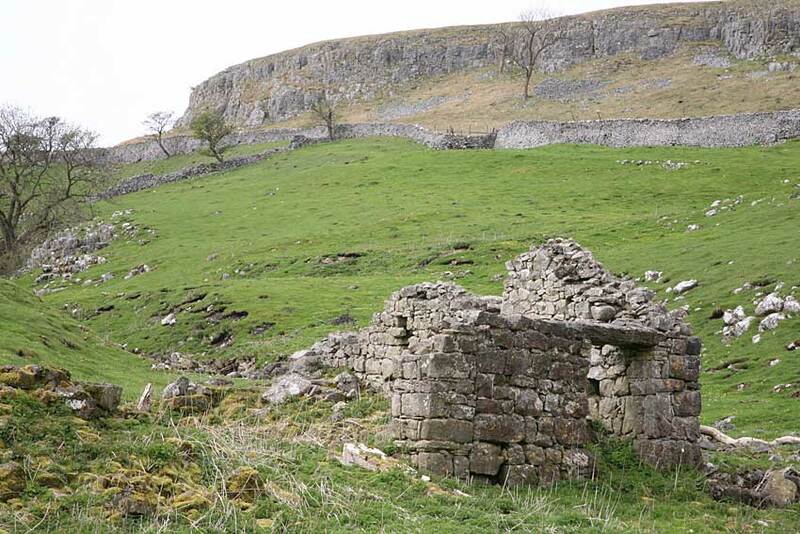 Soon the track splits and we follow the left fork passing through a gate by the sheepfolds and following the fence and broken wall up to the summit of Kilnsey Moor 450m. 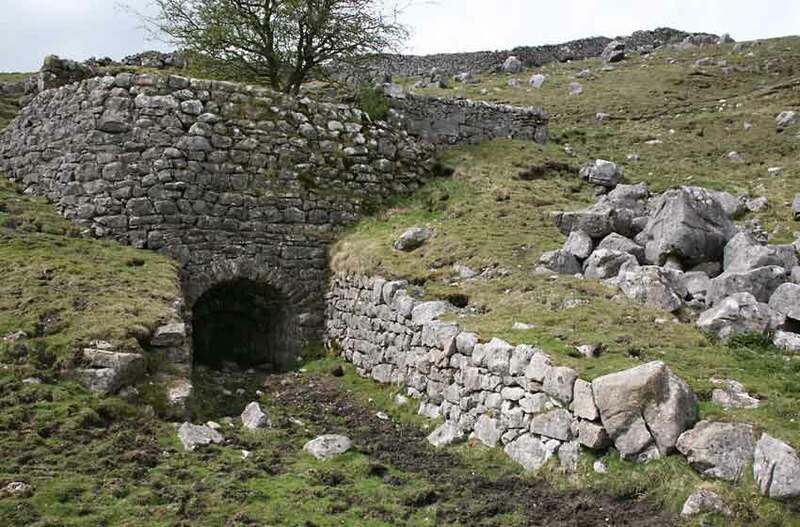 Leaving Kilnsey Moor we now head due south crossing the wall at a convenient point then crossing Malham Moor Lane still heading due south until after approximately 1.5km we join a path heading east towards Higher Heights Holes where we find this old lime kiln. Also these Banded Gallaway Cattle. We follow the path through the farm at Height Laithe, on past Height House and Wood Nook caravan park joining the road as we walk through Skirethorns, then taking a path through the fields to Threshfield. 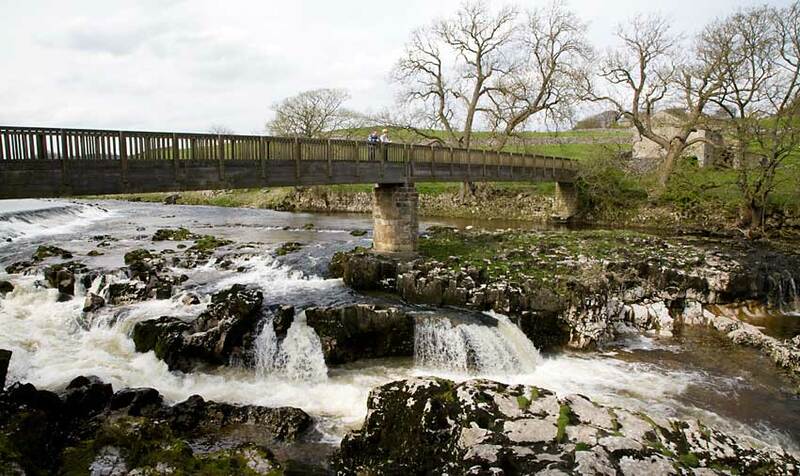 Then picking a track up across the fields again to Bow Bridge and on to Linton Falls before crossing the bridge and walking the short distance up Sedber Lane leading back to the car park in Grassington. A Splendid and varied walk of around 10.5 miles.